with a cup full of coffee. The player that makes it to the bottom of the stairs and spills the least amount of coffee wins. 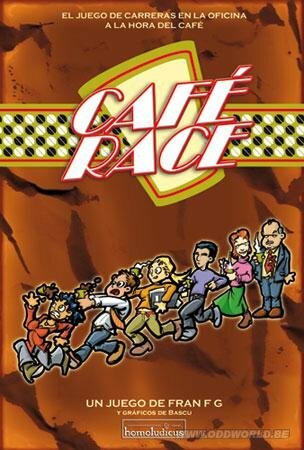 Café Race is a great, fast and fun filler in which players push their luck as they stumble down the stairs.